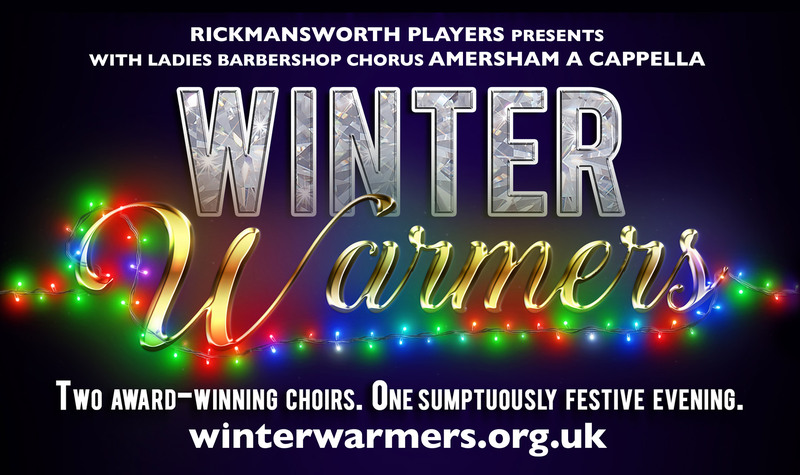 Award-winning community choir Rickmansworth Players Choir and dynamic ladies barbershop chorus Amersham A Cappella join forces for the first time, in the sumptuous acoustic of Christ Church Chorleywood, to bring you a warming winter medley of traditional Christmas favourites, and some spicy new arrangements too. Including “Bring Us In Good Ale” “A Million Dreams” (From The Greatest Showman) “I Wish It Could Be Christmas”, "Remembering Decembers", "Twelve Days AFTER Christmas”, “I'll Be Home For Christmas”, "Jingle Bells", "Let It Snow", and many more. Tickets: Adults £10; Senior Citizens £8; U16s £4.